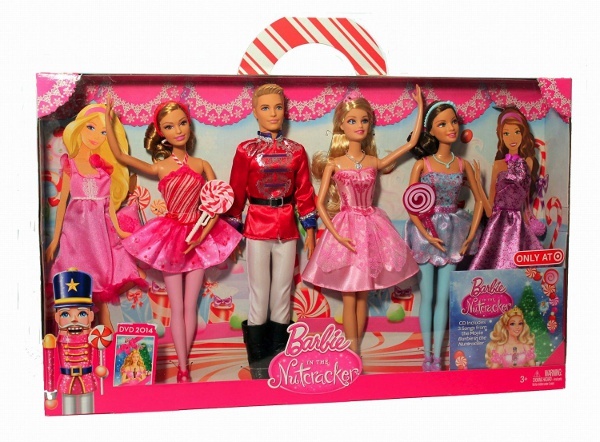 The holidays are the best time for doll aficionados, don’t you agree? Whereas all year round, one might be met by suspicious or quizzical looks when a doll reference is dropped — “You mean, you STILL PLAY with dolls?” — during the Christmas season, tolerance reigns supreme. Since December 25 is a day when adults often indulge their childlike wonder and excitement — getting and giving oversized plush-animal slippers, comically decorated PJs, socks with emojis emblazoned on them — the request-and-receipt of a doll is greeted with seasonal understanding. Any quirky gift can fit snugly in a stocking, so all is right with the world! This Christmas season, in particular, the world of doll lovers can be expanded by a measurable calculation. In fact, it’s not just a tiny box festively wrapped and tucked beneath the tree. No, anyone who is a doll fancier — and a ballet devotee, to boot (or to slipper) — can enter a real-live fantasy come true. And it doesn’t mean an excursion to Disney World or Legoland, either! The Historic Odessa Foundation, located in Odessa, Delaware, has converted their properties into a wintry wonderland. I’m not talking about the expected red-and-gold décor, with Santa and Mrs. Claus perched on thrones. No, I’m letting you know that the lovely reveries of E.T.A. Hoffmann have come to beautiful fruition. Now, anyone who has ever swooned to the opening note of Tchaikovsky’s beloved Christmas ballet knows that Hoffmann is the author of “The Nutcracker and The Mouse King.” His tale is the source material that has launched a thousand jetés and pirouettes. Written in 1816, the tale celebrates its 200th anniversary this year. The Historic Odessa Foundation, which decks out its historic homes annually, has a special place in its heart for children’s literature. 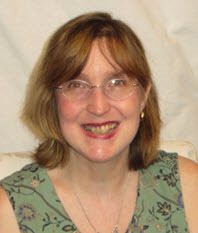 In past outings, the trustees have turned to Louisa May Alcott, Charles Dickens, Lewis Carroll, and Beatrix Potter to serve as their decorating touchstones. For 30 years, attendees have been impressed by how an 18th-century home can be converted into a living/breathing testament to a classic children’s author’s dream world. This year, until New Year’s Eve, December 31, visitors can see the Wilson-Warner House, a National Historic Register location, re-imagined and re-created as the home of the Stahlbaums — the family that figures in the Nutcracker tales. Young Marie — who is named Clara in the ballet — has the amazing dream that stars her Nutcracker Doll, cast as a brave soldier, battling against an army of marauding mice. It is a mesmerizing and truly emotional Christmas tale. 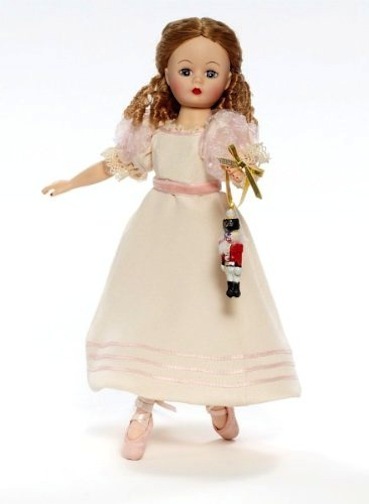 Clara and her Nutcracker prince have been the muses for many doll artists and manufacturers. It makes sense since the ballet involves a doll springing to life and a young girl, poised on womanhood, finding romance, but still hanging on to her more innocent ways. The original literary tale has Marie as a very young girls; many ballet treatments have made Clara more of a teenager than a tween. The chance to explore a historic house converted into a Christmas reverie is a chance that should not be missed. If you live on the Northeast Corridor, it is a car drive worth taking, plus the surrounding environs of Delaware and the Brandywine Valley are filled with Christmas traditions galore. Special events are planned on the properties — including candlelight tours, storybook readings, hearth cooking demonstrations — and the chance to walk through a doorway and see a book illustration come to life is priceless. Welcome to the holiday dollhouse — it’s a glimpse into Hoffmann’s creativity and your doll-lightful mind! PreviousYuletide Paradise: Hawaii’s Bo Bergemann discovers her inner snowman! Dollcasters: Is Network TV just a Few Segments Away from a Team of Vinyl Broadcasters? 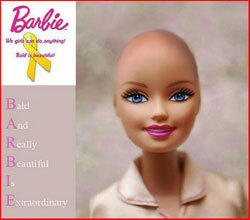 Face Time: a charity doll raises awareness and two teen “living dolls” raise eyebrows on the Net.